In telling the story of Law Codes in Dynastic China, John Head and Yanping Wang offer a bird's eye view of Chinese legal history from the earliest dynasties to the last. They survey the majestic sweep of China's legal tradition by allowing the details to emerge from the works of many scholars and then connecting those details in a storyline that revolves around a unifying theme: legal codification. 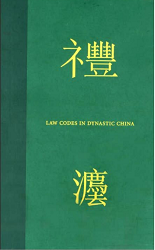 In this way, Law Codes in Dynastic China brings to life such characters as the Duke of Zhou, Confucius, Khubilai Khan, and dozens of other emperors, rebels, scholars, and eunuchs. The book also illuminates the great movements and philosophies of China — Imperial Confucianism, Legalism, correlative cosmology, Daoism, and others — all in order to reveal both the spirit and the practicalities of law in dynastic China. This new one-volume text will prove valuable not only for researchers in the areas of Chinese law, legal history, and Chinese history, but also for students in a variety of undergraduate and graduate programs and for legal practitioners whose work calls for them to have a historically-based understanding of China's legal culture. For all readers, the book provides comprehensive citation to authorities and sources for further study — with special emphasis on recent findings and translations. Moreover, for the general lay reader, the book offers a fascinating look at the intersection of three paths of literature and learning: law, history, and China. In doing so, it facilitates a broader appreciation of contemporary China as well.